Samsung launched the new Galaxy Note 8 just last month, and now Samsung is aiming to introduce a foldable phone in 2018. The smartphone will feature a bendable display and would be released under the company's flagship Galaxy Note line. It is clear that the company is still perfecting the technology, while Infinity displays – which is flexible OLED panels to bend around the edge of a smartphone – remain popular and the smartphones are still selling like hotcakes. This is the first time Samsung has publicly spoken about plans for a foldable phone, despite all the rumours around the release of one that has been swirling the web for many years. 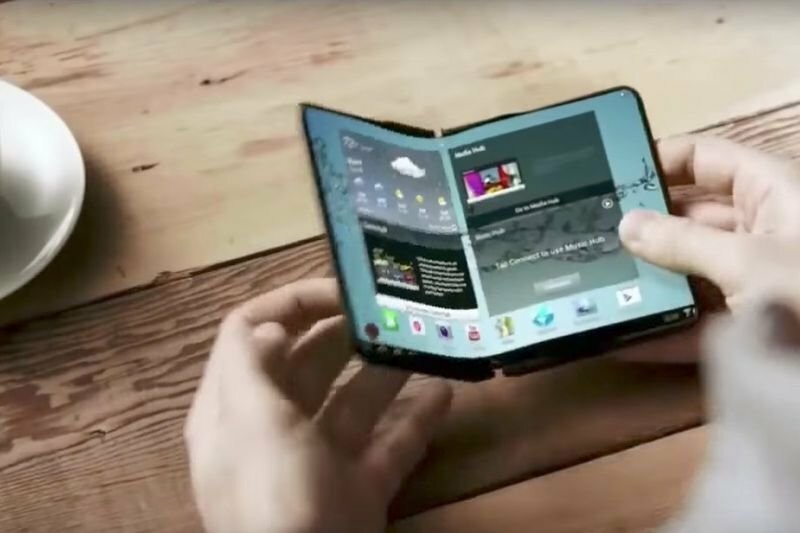 Samsung unveiled a bendable AMOLED display prototype back in 2012 named Youm, and last year, it applied for a patent for a foldable phone that bends like a flip-phone handset. We'll have to wait and see what Samsung decides, in the meantime look how cool this guy is in the video below, he even get's the girl's number with his rad foldable Samsung smartphone.